I was talking with a mom the other day. She was talking about advocating for her son to get educational assistance and she commented how she did not realize that breastfeeding set down a foundation for her mothering that extended into that advocacy. I knew just what she meant. Breastfeeding is not just a method of feeding your baby; rather it builds an entire relationship. I see how my family is impacted by breastfeeding. We set down a foundation of closeness, of security, of trust. My breastfeeding our children had a positive impact on my husband. He witnessed the closeness I had with our babies and he developed his own closeness. He saw how a baby is comforted skin to skin, in warm loving arms. Our six-year-old boy loves to cuddle in the “cozy spot” on the couch. The “cozy spot” is in the corner of the L-shaped sofa, lying on Rob. Our daughters love to cuddle. Phoebe is three inches taller than I am at sixteen but she still loves to cuddle. Chloe, getting taller by the minute at ten loves to cuddle. What is especially sweet is when our children cuddle together. When they were younger I could overhear Finn and Chloe ask each other to do “belly to belly,” a phrase they hear me repeat often to mothers when discussing positioning for breastfeeding. There have been times along the way when I felt touched out by all the breastfeeding and cuddling. 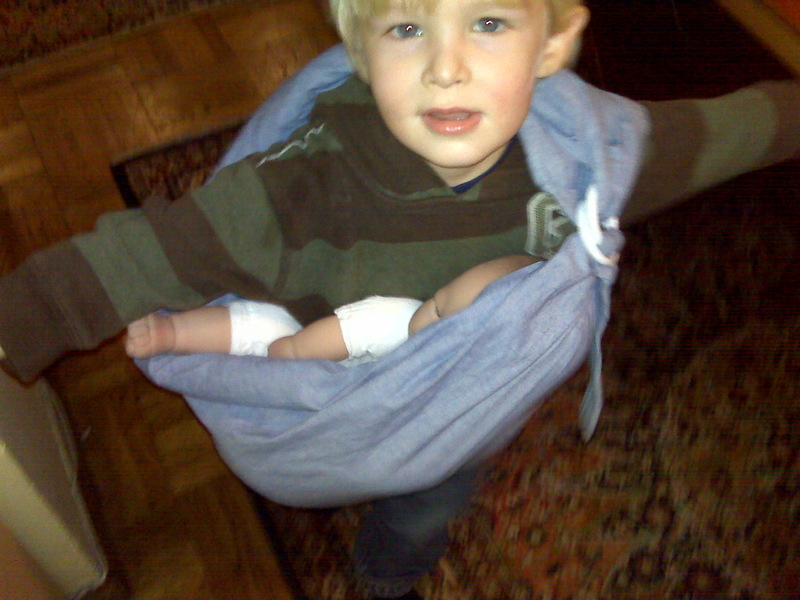 I recall a specific evening when Finn was about a year old and he had just fallen asleep partially draped over me. I was sandwiched between him and Rob who had fallen asleep with an entire arm and a portion of his left leg on me. I lay there feeling trapped. I thought about this scene I had created and I wanted to exit. I knew the departure would arouse the baby whose cries may awaken the girls in the other room and I would need to start over getting everyone back to sleep. I thought about the alternative – no touching, no co-sleeping, less overall intimacy in my life and the next thing I knew it was the next morning. Don’t get me wrong. I am not a martyr. There are times I have stormed from a bed or a couch with just too much. But at that moment I felt loved and powerful and sleepy. When you have a healthy physical relationship then you have passion for that person. And that leads to the advocacy. I believe most mothers will advocate for their children passionately. The difference here, I believe, is that the tools you have are more concrete. The vision is clearer. When you are breastfeeding you have close physical contact often. This forces a familiarity like no other. You notice tiny nuances when a baby falls asleep in your arms and you study her. You notice the faint U-shaped vein on his hand. You notice her heart beating as her peach fuzz hair gently pulses up and down ever so slightly. You see his father’s chin line as he drops off your breast. These are the memories you carry with your to the Board of Education to fight for extra time or extra care. These are the memories you carry as you rush to the emergency room with a twisted ankle or bumped head. 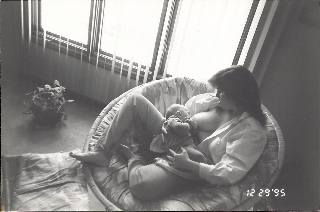 I love how breastfeeding has shaped my family. I take great pleasure in witnessing the same in other families. Hi! I’m from BoobyBooks.com and am reaching out to bloggers who cover breastfeeding subjects. I would love to provide you with a copy of our first eBook that you can review, give away, or do what you wish with. If you’re interested, please shoot me an email! owner@boobybooks.com. Thanks!